Are you a down-to-earth, fun-loving, family-focused couple looking for wedding videography? I’ll capture what’s important to you in a totally natural, meaningful way. the founder and principal videographer of Your Wedding Story. I adore filming weddings in and around Toowoomba. I’m a preferred supplier at Gabbinbar Homestead, which is something I’m particularly proud of. I also have a great relationship with Spicers Hidden Vale in the Lockyer Valley. If you’re the kind of couple who want to capture the heartfelt love, warmth and joy between your family and friends on your wedding day minus the cheesy, lovey dovey footage that makes you cringe, I am the wedding videographer for you! I believe your wedding video shouldn’t just be a montage set to music — it should include audio and tell a story about the things that are dear to you. 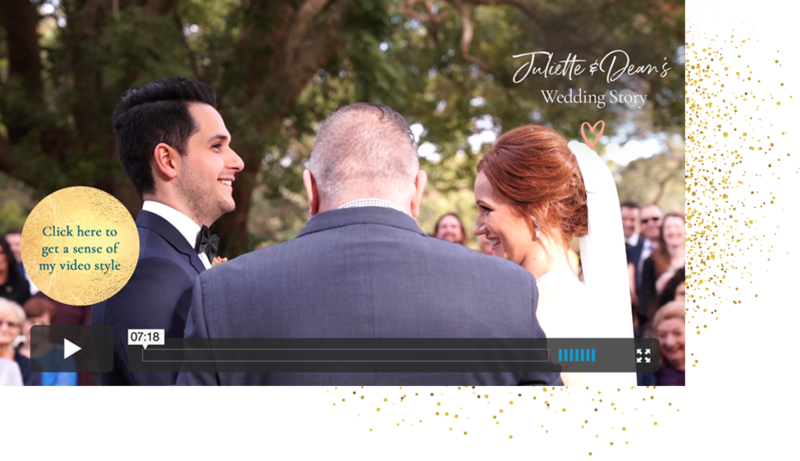 Recognised by ABIA in the top three Queensland videographers for two consecutive years, I am incredibly passionate about not only making an amazing wedding video for you, but also making your day run more smoothly so you can just relax and be in the moment. I genuinely love my clients and always go above and beyond, resulting in consistently great reviews.